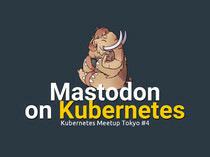 Mastodon starts to support ActivityPub! • Engineering Manager at pixiv Inc.
• A microblogging service like Twitter. features and adapt to interested users. in the federated social network. • Basically composed by 4 standards. Local user posts a toot. Schema: PuSH and Salmon data formats. • OStatus is too legacy. Where is Salmon Protocol Spec? 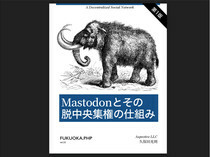 Firstly, Mastodon refers to GNU Social. Saving interoperability with GNU social..
• Firstly, Mastodon refers to GNU Social. A new standard for federated social network. supports some parts of ActivityPub! can see maintained spec on Internet!! will be held in 10 days. Pawoo will receive a large amount of toots.